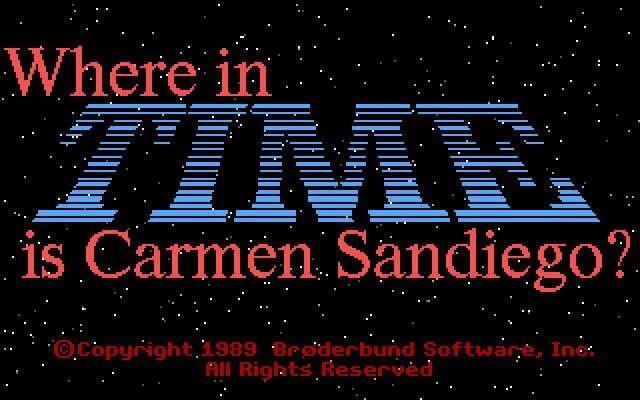 Broderbund released Where in time is Carmen Sandiego? 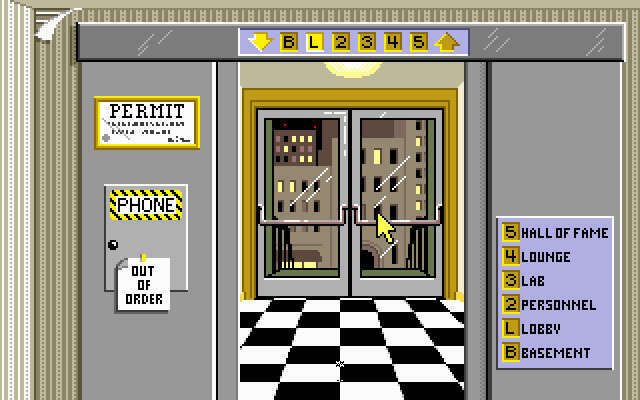 in the year 1989; it's an old science fiction adventure game, part of the Carmen Sandiego series. Where in time is Carmen Sandiego? is abandonware, runs on DOS and can be played in single player mode. It's available for download. Downloads for Where in time is Carmen Sandiego? 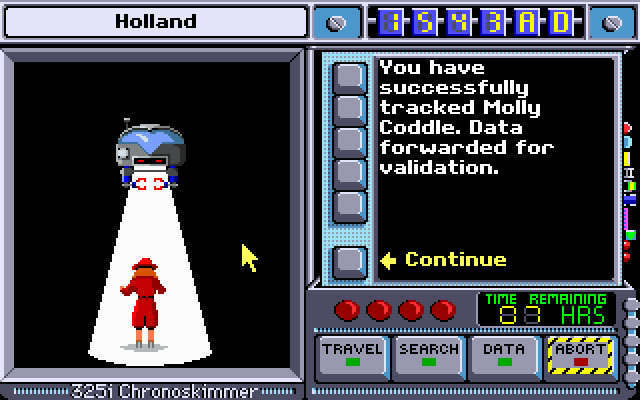 Play Where in time is Carmen Sandiego? 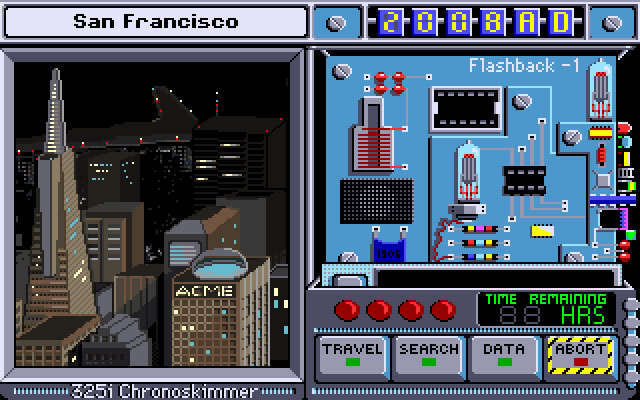 in your browserDownload Where in time is Carmen Sandiego? Tell others what you think about Where in time is Carmen Sandiego? : did you play it? Did you like it or hate it? If you have problems running Where in time is Carmen Sandiego?, please read the F.A.Q. first. Your e-mail will NEVER be used for spam. 1990 - Best Home Learning Program, CODiE Awards. Abandoned games likeWhere in time is Carmen Sandiego? adventure Where in the USA is Carmen Sandiego? 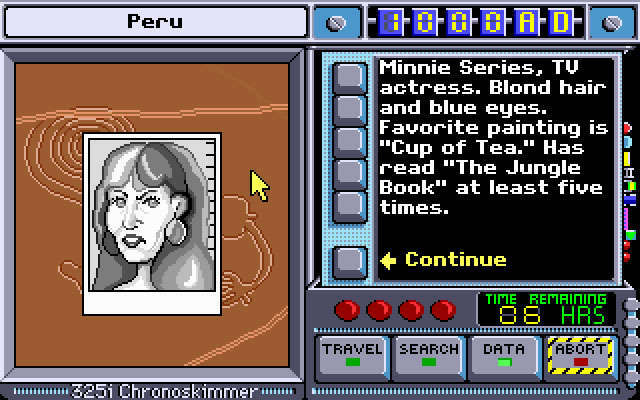 adventure Where in America's Past is Carmen Sandiego? 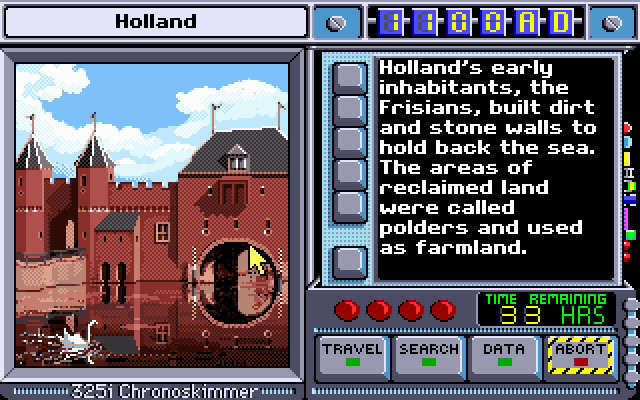 adventure Where in Europe is Carmen Sandiego? 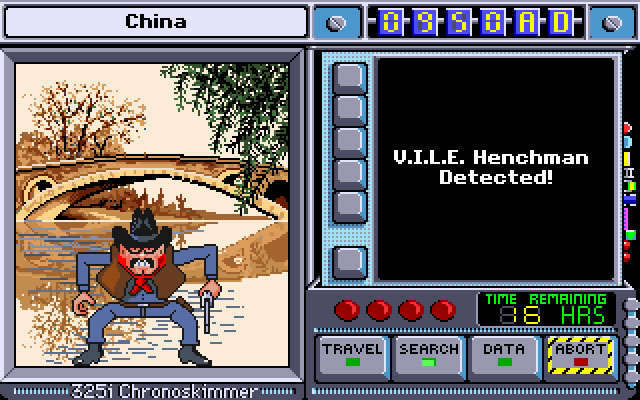 Download Where in time is Carmen Sandiego?